It is time to start clearing out your calendars because new music from the Queen Of Pop is on the way. 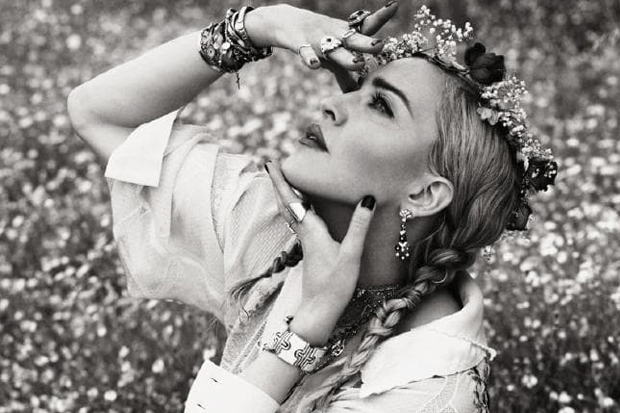 By now it is no secret that Madonna has been pulling together content for her 14th studio album; the living legend provides seemingly endless teasers and updates on social media. She also performed a new song called “Beautiful Game” at the Met Gala this year. Many presume it will land on the tracklist. In an October interview with WWD, the 60-year-old confirmed the project wouldn’t drop until 2019. However, her latest update makes it seem like it will be a Q1 release. Today (November 19) the one and only Rebel Heart took to Instagram to reveal that the project was entering its final stages. “Final Mixes,” she captioned a video of her pensively bobbing along to a new tune. “Everything needs to be !” Sadly, the music is muted so we don’t know what she is listening to. For all we know it could be a remix of “Champagne Rosé.” Surely, Madge couldn’t be that cruel? However, the caption does provide a bit more information. Chiefly, it confirms that she is still working with French hitmaker, Mirwais. The twosome have a lengthy history of creating hits together including her chart-topping “Music.” She also shouted out Mike Dean, who wrote and produced several tracks for 2015’s Rebel Heart. The “Living For Love” icon has been in and out of the studio with the former for most of the year. This implies she is going back to her habit of working closely with a tight-knit team instead of relying on writing camps to create content. It looks like Madge has at least one more producer on the project – her daughter Estere. In a second post from the studio, her daughter is seen mixing together a loop at the sound board. This post also hashtags Mike Dean and the word mercy. Could that be a potential title? I guess we’ll have to wait to find out. In the meantime, check out her latest updates below! Are you ready for new music from the Queen Of Pop? Let us know below, or by hitting us up on Facebook and Twitter!